SAM piano students selected to perform at Carnegie Hall! Read more here! SAM’s 2017 Winter newsletter is here! Click here to schedule a 15-minute consultation call with our Director! Improves language development: Increase in IQ (Increases IQ)Improves test scoresIncreases brain connectivityIncreases spatial intelligenceIn addition to the above benefits, music has even been shown to improve our motor and reasoning skills in children. According to an article published by the Public Library of Science (PLOS), music benefits the premotor cortex, frontal cortex and auditory cortex of a child’s brain as he or she learns to play a musical instrument. All of this should motivate you to consider enrolling your child in our school. In a time when many schools are cutting music programs, our piano lessons in Miami are designed to fill that void. They are fun for children and also good for their emotional and mental development. Our Miami music school teaches kids piano, guitar, voice, violin, cello, music theory, ear training, and harmony and is a leader in the community. Superior Music Academy’s instructors are well respected and dedicated musicians who have both Master’s and Doctoral Degrees in Music. That is why they appreciate how music can change a child’s life for the better and help him/her to excel in life. 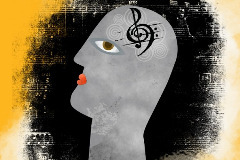 Milk may nourish the body but ultimately, music fuels and feeds the mind. SAM Co-Founders to Perform a Piano Concert featuring Latin American Music – June 10th, 2017 at 4pm.